Join the fairy friends as they attend a wedding. Everyone plays their part Lizzie is the bridesmaid, Millie sings a song, Evie plays a tune and Belle and Betty throw confetti and at last the beautiful bride arrives! 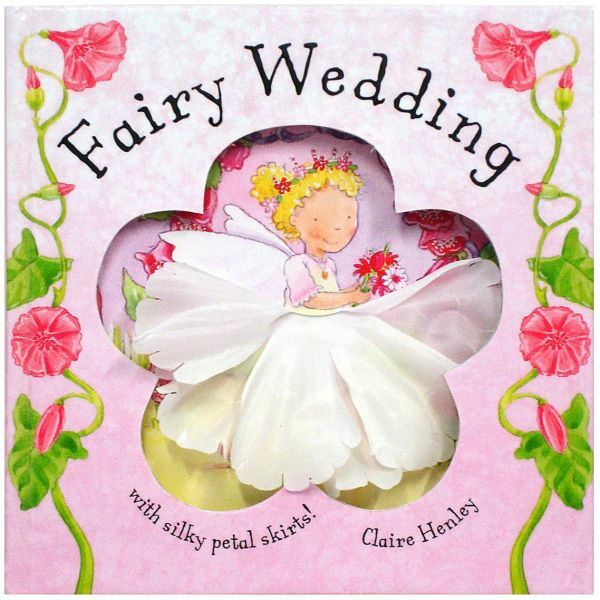 Little girls will be enchanted by these delightful fairy stories, with touch and feel silky flower skirts that will bring the magical world of the fairies to life!